Often referred as the “Princess of Hill stations”, Kodaikanal is the place to visit if you are looking for a holiday break away from concrete jungles and city lives. Undeniably one of the best hill stations in the country, Kodaikanal is situated in Palani Hills of Dindigul District of Tamil Nadu. A visit to hill station will present you with enthralling scenic beauty that will leave you mesmerized throughout your tour. It also boasts of rich fauna and flora, owing to which Kodaikanal is also known as the ‘Gift of the Forest’. However, for a perfect holiday, there are a lot of things that a traveler needs to do before embarking on his or her journey. Making arrangement for travel can many a times act as dampener to the holiday mood as well as consume a lot of your time and energy, hence the best way to plan a holiday is to book a suitable tour package. Holidays DNA offers a wide collection of Kodaikanal tour packages for you to choose from. Whether you are looking for a 1 day kodaikanal package or 7 day and 6 nights long kodaikanal package, whether you are looking for a luxury package or budget holiday, a family tour package or a solo tour plan, we have suitable kodaikanal packages for all. For those who are travelling for a day to Kodaikanal and those on quick weekend trip to this hill station, we have 1 Day Kodaikanal Packages. Our 1 day Kodaikanal package offers an exclusive taxi/vehicle for you. The cab is offered based on the number of persons travelling and your preferred budget. With our package you need not worry about commutation, you can travel to all the tourist attractions at this hill station without any hassle. As our cab takes you to all the popular sightseeing places in Kodaikanal, you can spend as much time as you want at a place without worrying about going back or finding a transportation. 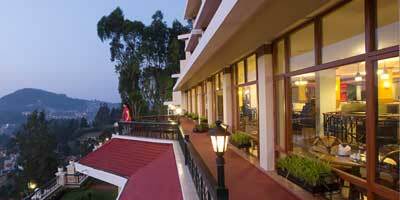 You can explore the scenic beauty of Kodaikanal in utmost comfort with our package. The package also includes driver payment and parking charges so that you can just relax and have an enjoyable time in Kodaikanal while we ensure that everything related to your tour is being taken care of. 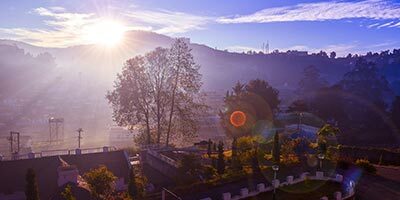 There are many interesting places to see in Kodaikanal ranging from serene lakes to alluring viewpoints, trekking trails to rocks and valleys, waterfalls to gardens. Coakers Walk, Bryant Park, Devil's Kitchen, Kodai Lake, Pillar Rocks, Silent Valley View, Guna Caves, Kurinji Temple, Pine Forest, Kurinji Andavar Temple, Silver Cascade, Green Valley View/Suicide Point, Berijam Lake are few of the places that one can visit in Kodaikanal. Along with sightseeing, you can also try out various activities on your one day tour to Kodaikanal. Horse riding, trekking, rock climbing, cycling and boating are some of the activities that will make your Kodaikanal tour more special. In addition to this, our travel advisors are available throughout your trip to assist you in every possible way. You can reach them at any point of time and they will try their level best to solve your query. Their work doesn’t end just with the package; they also help you with suggestion on the destination if required as well as make any special arrangement if needed. We also have the option of customised 1 day Kodaikanal tour package for those with special requirements. In addition to this our kodaikanal tour packages are offered at affordable rates so that everyone can have a memorable trip to this beautiful hill station.